If you notice Scomnet having a extremely growth on FY18. Strong momentum with high growth is what market needed. Their prospect is still remain positive growth on FY19. 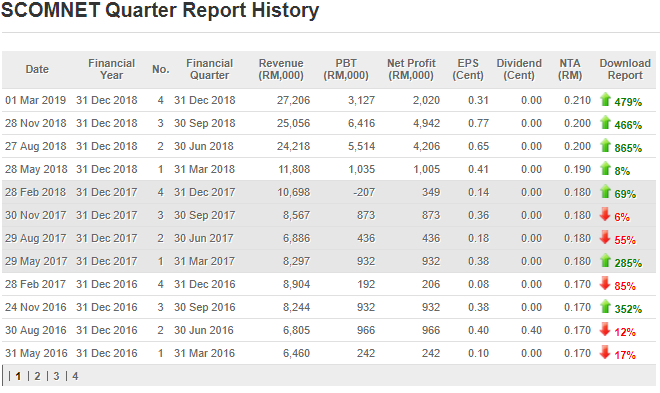 If the company didn't grow well, it will not give such dividend to their shareholders. Strong company growth shares their profit with shareholders. 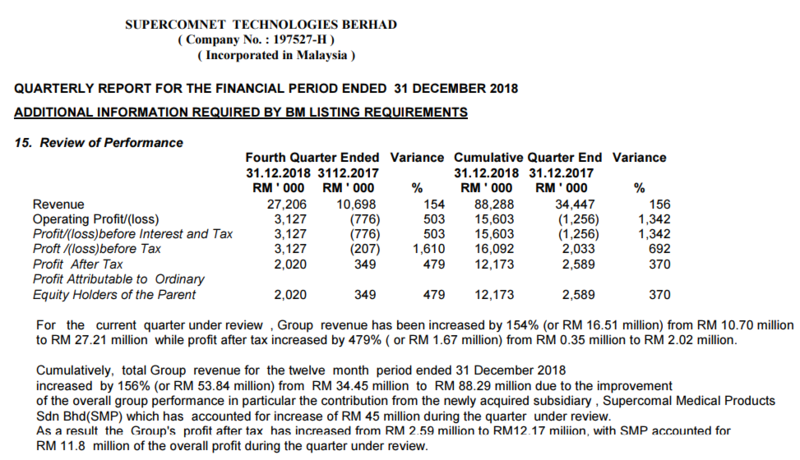 Both 1.5cents dividends + Bonus issue will boost up more for Scomnet after washing from previous peak 0.82. 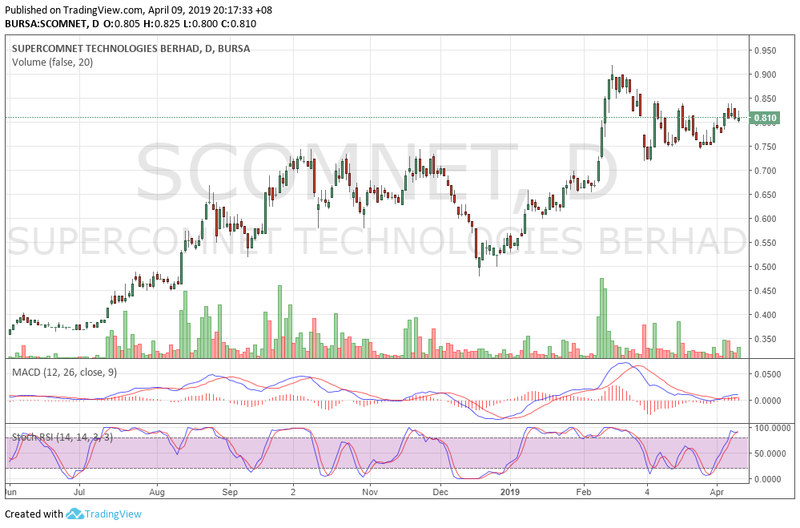 Based on technical analysis, if Scomnet breakout from 0.84 level. We might see this stock test a new 52weeks high before ex bonus issue. The stock shows bullish after deep drop during December 2019. 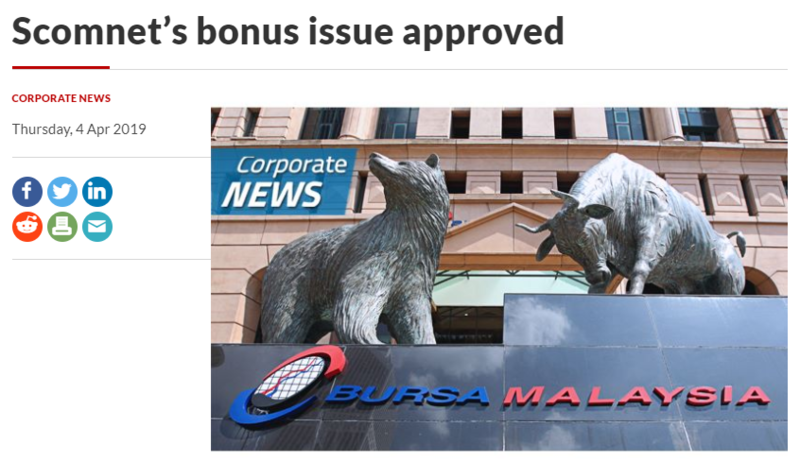 90% stocks that issue bonus issue will have a strong push up before ex. Example like Penta, Cck, Topglove & Harta. Target Price will be 1.00 before ex bonus issue & dividends. 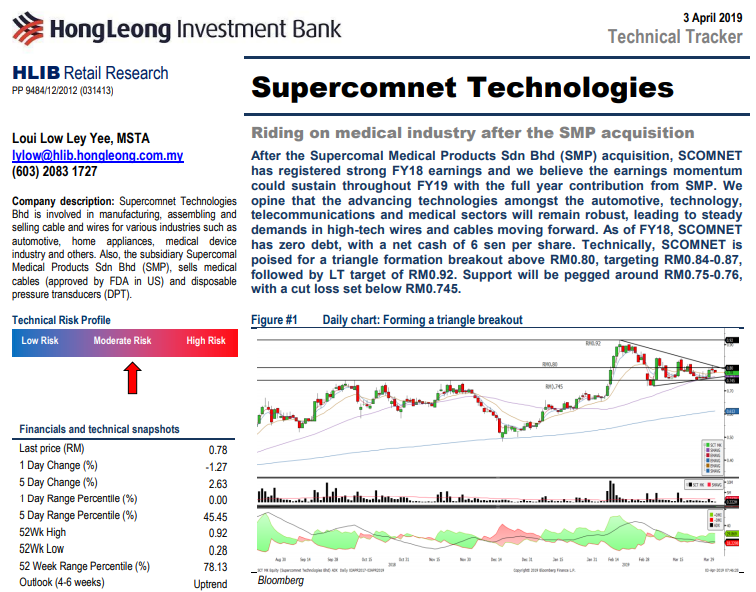 Scomnet passed T4 and strong support at 0.80. 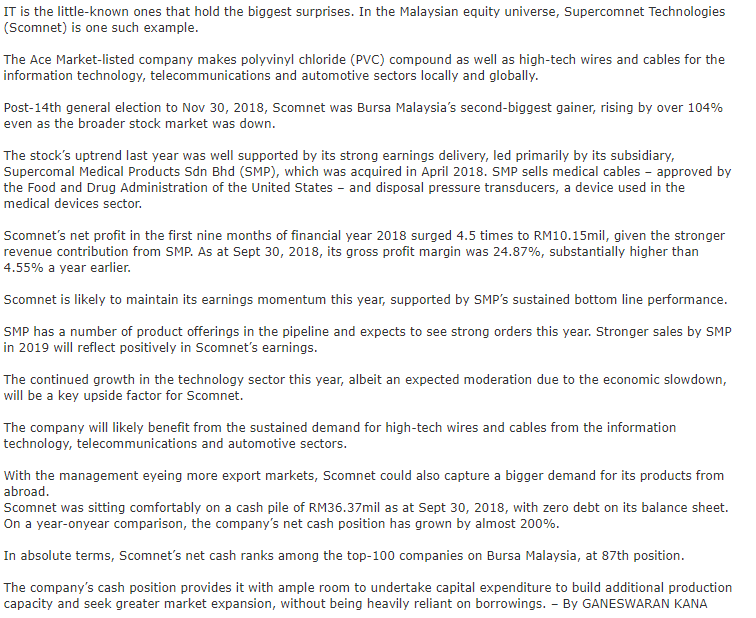 Tomorrow expectation on Scomnet to test new high with strong momentum volume.